I love making winter cards! 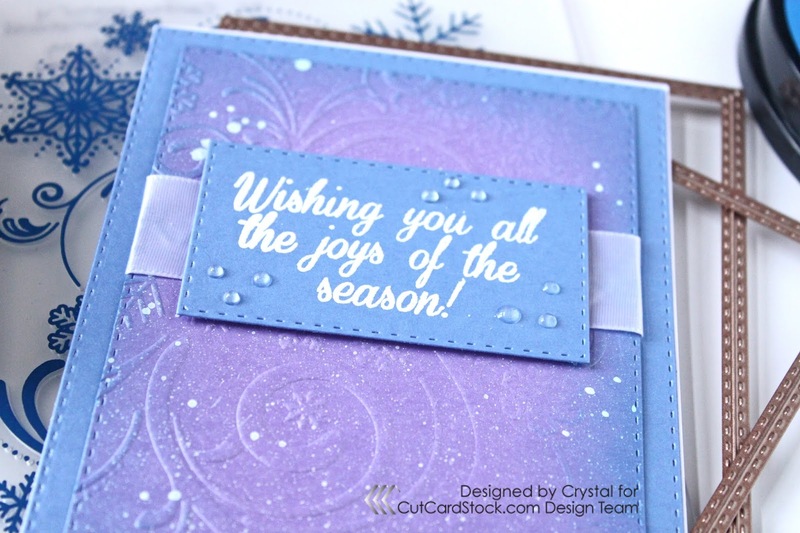 I love using blues and purples for winter cards. 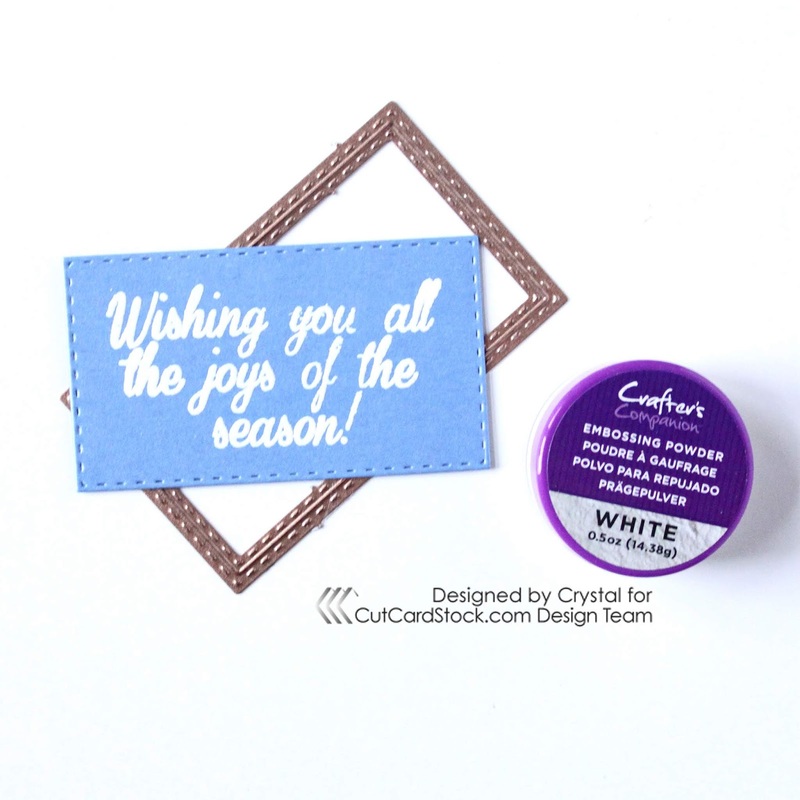 For this card, I used Stardream Metallic cardstock in Amethyst and Vista. 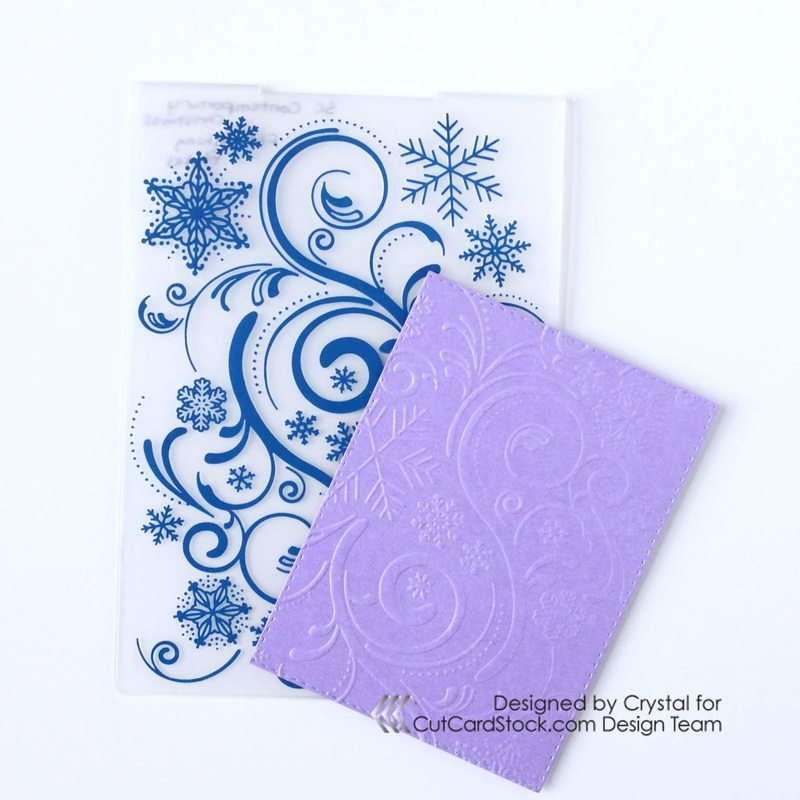 To get started die cut a piece of Amethyst cardstock down to with a stitched edge die down to 4-7/8" x 3-5/8". 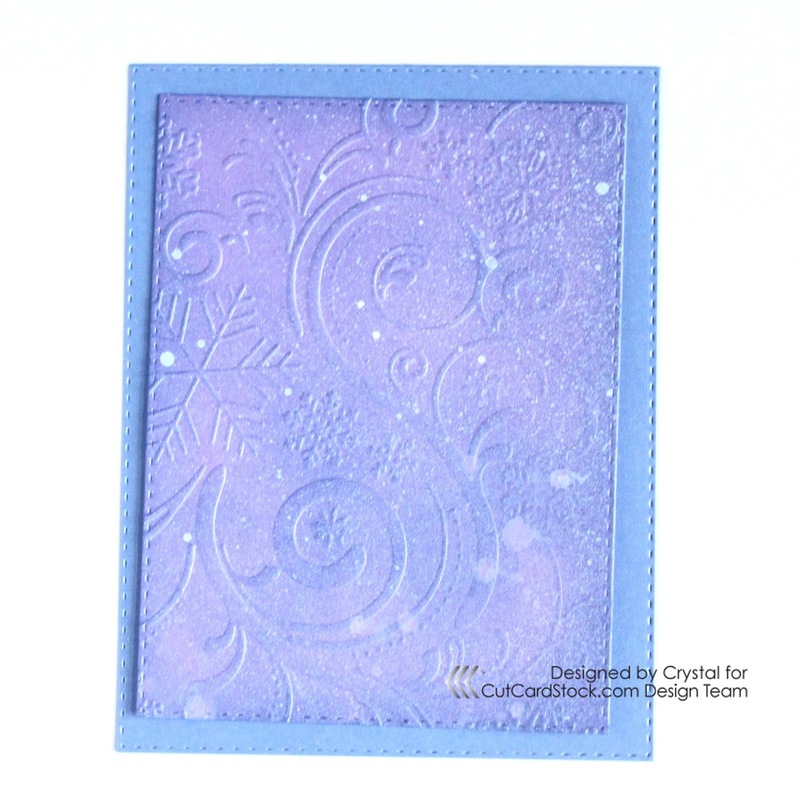 Emboss the Amethyst cardstock with a snowflake design using an embossing folder. Ink the embossed panel either all over or darker on the edges and lighter towards the center. Place the die embossed panel into a box to not make a mess everywhere and mist with some white Illusions ink spray or any other white paint you might have on hand. Die cut a piece of Vista cardstock with a 5-1/2" x 4-1/4" stitched edge die. Add a white ribbon about one inch down over the embossed panel tucking it around the back. Layer the embossed panel onto the Vista panel. 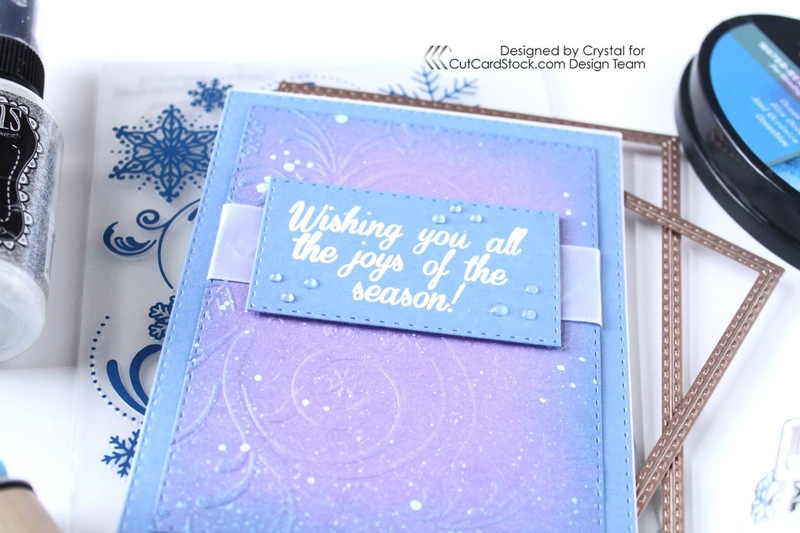 Die cut some Vista cardstock down with a small stitch edged die and heat emboss a sentiment into the center of it with white embossing powder. Adhere the sentiment with foam tape over the white ribbon. As a last little detail add some clear Nuvo drops in small clusters around the sentiment.